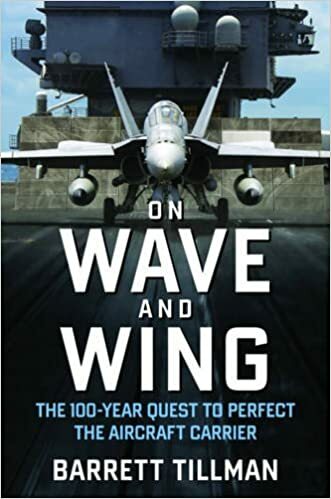 The following article on the Gulf of Tonkin Incident is an excerpt from Barrett Tillman’s book On Wave and Wing: The 100 Year Quest to Perfect the Aircraft Carrier. It is available to order now at Amazon and Barnes & Noble. 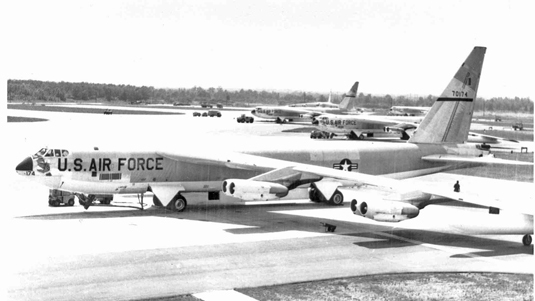 In early 1964, increasing American concern over events in Laos led to “Yankee Team” reconnaissance flights over communist-controlled areas. From May the Plaine des Jars and the nation’s panhandle were crisscrossed by naval and Air Force planes monitoring communist activities. Navy and Marine Corps photo-recon aircraft flew repeated sorties from carriers in the Tonkin Gulf, originally from Kitty Hawk (CVA-63), with others following. The Douglas RA-3Bs and Vought RF-8As launched from “Dixie Station” about 115 miles off South Vietnam, occasionally drawing gunfire. One Crusader was shot down on June 7, Lieutenant Charles Klussmann being captured by the Pathet Lao and surviving two months in captivity before escaping. Klussmann’s Crusader was the first naval fixed-wing aircraft lost in Southeast Asia. Nearly one thousand would follow. Tensions heightened in the Tonkin Gulf. 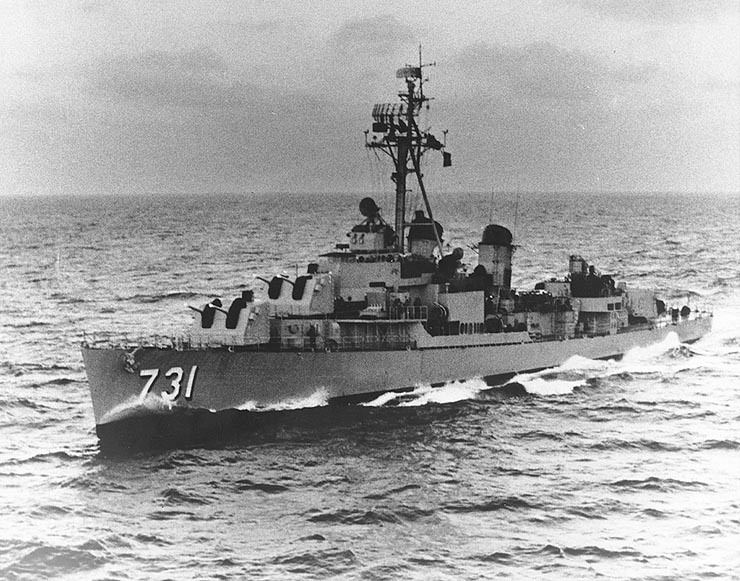 On the afternoon of August 2, 1964, three North Vietnamese torpedo boats clashed with the American destroyer Maddox (DD-731) patrolling the coast. Gunfire and torpedoes were exchanged while F-8 fighters from USS Ticonderoga (CVA-14) raced to the scene. Led by Commander James B. Stockdale, the four Crusaders strafed one of the boats, claiming it sunk, though in fact one was severely shot up and two damaged. Two nights later the destroyer Turner Joy (DD-951) joined Maddox to enforce right of passage. Radar and sonar operators reported aggressive Vietnamese PT boats, leading to a four-hour live-fire exercise again involving Jim Stockdale. From his vantage in the dark sky he saw U.S. gunfire and ships’ wakes but no hostile vessels. Again the Americans claimed a sinking, but Hanoi denied that any action had occurred. As it turned out, the communists were right. But the Johnson administration, only ninety days from a presidential election, chose to believe the confused, contradictory, uncertain accounts of the second Gulf of Tonkin incident. The next day Lyndon Johnson ordered “retaliatory” air strikes against North Vietnam. Sixty-four aircraft from Ticonderoga and Constellation (CVA-64) bombed naval and petroleum targets. Two planes were downed with one pilot killed and one captured. The polls showed a fourteen-point jump in public approval, and in November Johnson won a decisive victory. Decades later Jim Stockdale reflected upon “Washington’s second thoughts, the guilt, the remorse, the tentativeness, the changes of heart, the backout. And a generation of young Americans would get left holding the bag.” He paid a bitter price himself: shot down in September 1965, he spent seven years in Hanoi’s extortionist torture chamber. 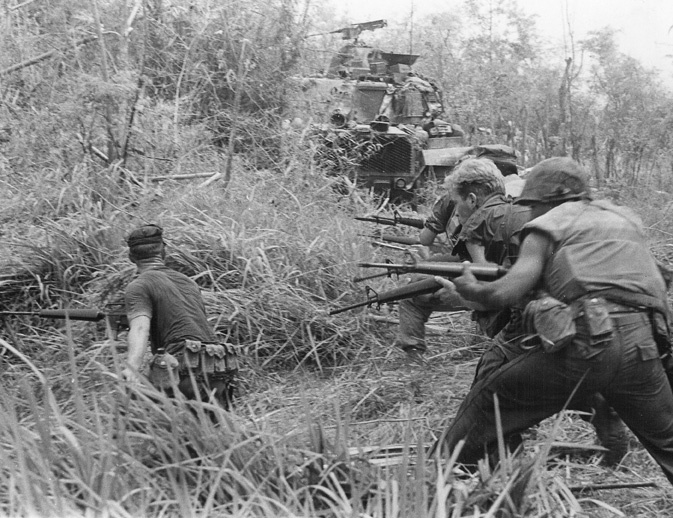 While the generals and admirals in Washington feuded over turf wars in Vietnam, tactical aircrews found ways to support one another, much as Navy, Marine, and Army fliers had done at Guadalcanal. Because the Navy possessed SAM warning gear before the Air Force, some Tonkin Gulf A-4 squadrons sent single Skyhawks to F-105 wings in Thailand. 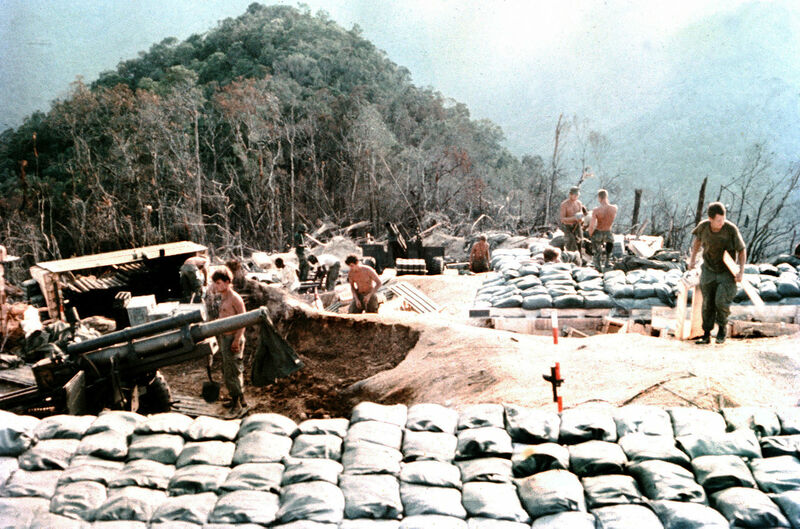 The process had begun early, resulting in a notable mission during October 1965. There was other fallout from the Gulf of Tonkin incident. Lieutenant Commander Trent Powers, executive officer of Oriskany’s VA-164, flew with the 355th Tactical Fighter Wing at Takhli, leading eight F-105s against two SA-2 sites north of Hanoi. The Skyhawk-Thunderchief team covered strikes by two carrier air wings, which escaped unharmed. The SAMs all missed, and Powers pressed his attack to extreme low level in bombing one of the sites. Flak tore his Skyhawk apart and he ejected into captivity. At some point he died in prison, receiving a posthumous Navy Cross. This article on the Gulf of Tonkin incident is an excerpt from Barrett Tillman’s book On Wave and Wing: The 100 Year Quest to Perfect the Aircraft Carrier. It is available to order now at Amazon and Barnes & Noble.